I have something special to share with you all, some spa like goodies I recently feel in love with. Side Note: I know I have been away for a while. 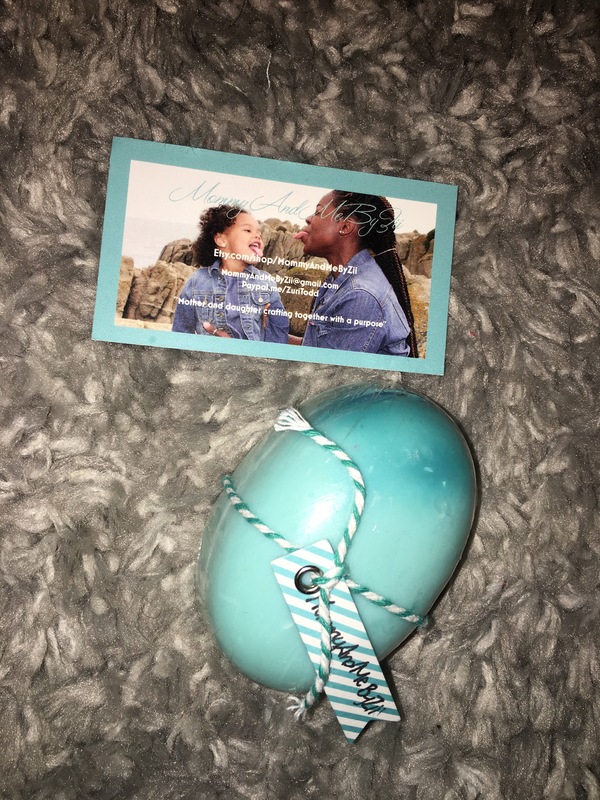 I mean it’s been maybe a month since I last blogged. I have been very busy working on my passion. Hopefully I will have great things to share with you all in the near future. Anyhow, back to the good stuff. Mommy and Me By Zii is a homemade craft shop. Zuri is a ol’ friend of mine from High School (small shouts out to Cedar Shoals High School in Athens, GA). 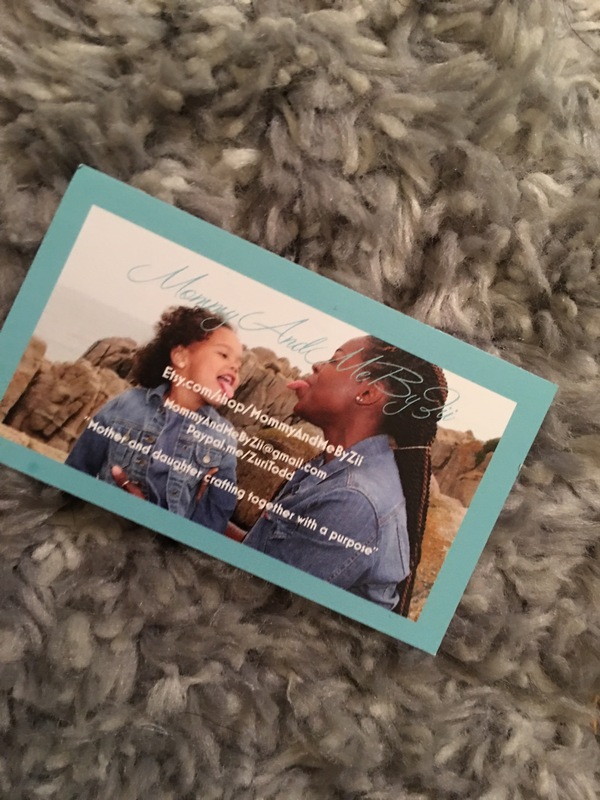 She is a mommy and entrepreneur. 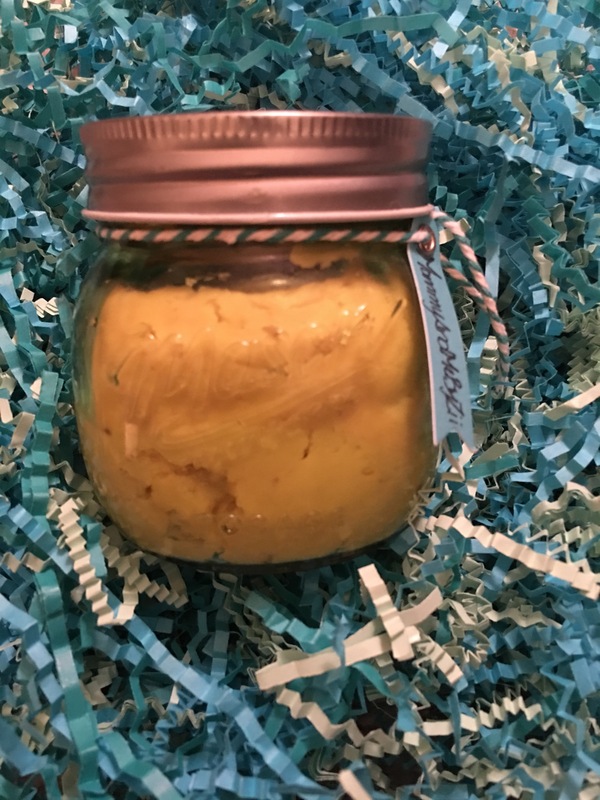 In fact, she decided to go into business with her beautiful daughter for, “Mother and Daughter crafting together with a purpose.” Together the Mother and Daughter duo makes skin care goodies that are all natural and good for your skin. 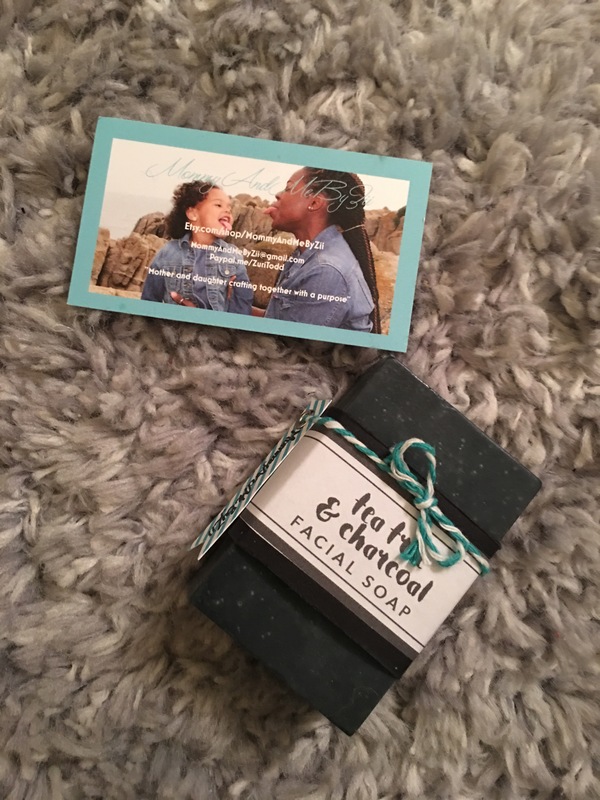 The Tea Tree & Charcoal Facial Soap bar is really thick, so it will last a long time. It lathers really good. I use it in the mornings after showering, before moisturizing my face. 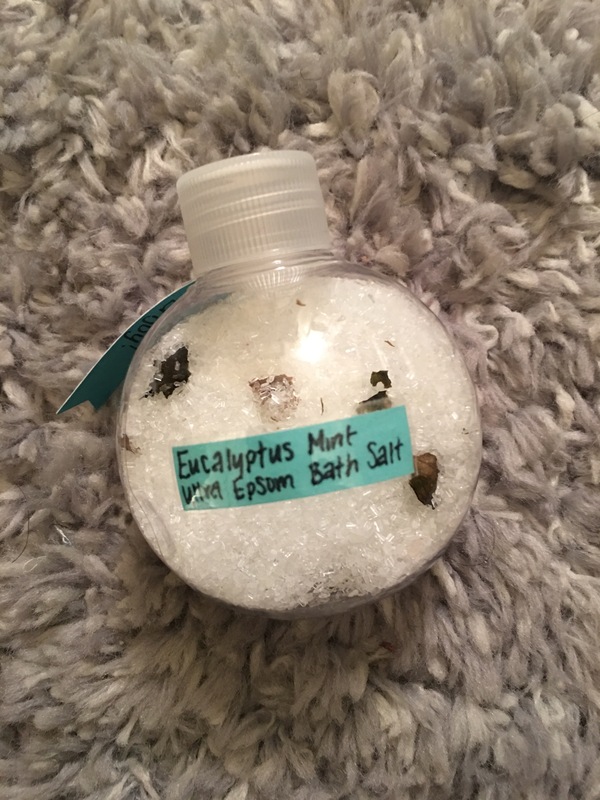 Eucalyptus Mint Ultra Epsom Bath Salt is very soothing in a warm bath with some lavender body oil and a glass of wine. I absolutely love the Triple Thick Body Butter. It’s best on my rough skin areas after a shower, like my feet, knees and elbows. I use it mostly at night after my shower, then putting on lotion in the morning before getting dressed. The Cold-Press Soap smells so good. It also lathers really well and feels soft on your hands. I usually buy the liquid soaps from Bath and Body Works for my bathroom. But I wanted to try a homemade soap. It’s so good that my best friend decided it was hers and took it from me after I let her try it. You know how best friends are… they think everything that’s yours is theirs too. I’d never used a charcoal mask before t but I have been interested in trying one. 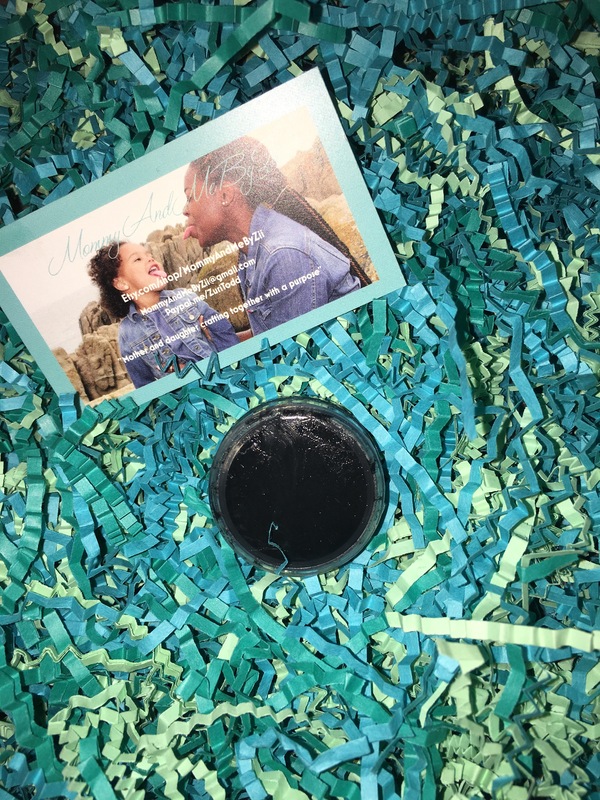 So I also order the Charcoal & Coconut oil Face Mask, it felt so good on my skin. Because of the coconut oil it’s a little watery- which I liked. I rubbed a thin coat on my face before my shower and let the shower water hit my face to gently rinse it off. Amazing Feeling!